I am still dazed at the blow, and cannot settle down to anything; and everything crying out to be done and re-organised. Poor C.J. We found him last night, at last, but he must have been killed almost at once. Oh! How I feel for his poor wife and mother. Gen. [Nugent] saw the Bde. on parade today and was very complimentary. He published a very fine Order of the Day on the operations, and the behaviour of the Division. I fear Montgomery is dead. I must write now to the relatives. 10.00 p.m. Now to try and give you some idea of what occurred. After seven days’ bombardment, ending in an hour’s hurricane artillery fire, from 6.25 a.m. to 7.30 a.m., on July 1st, the attack was delivered—109th Bde. 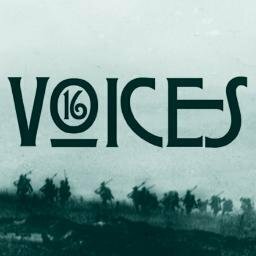 on right and 11th and 13th [Royal Irish Rifles] next, all on Thiepval side; 12th [Royal Irish Rifles] and ourselves Hamel side; 107th [Brigade] in reserve. We attacked in four waves. The leading wave got out all right, and the 2nd wave suffered fairly badly getting out, but the remainder were mown down by M.G. fire. The men advanced as if on parade, and regardless of losses to officers. ‘A’ and ‘B’ Coys. on right, then ‘C’ and ‘D’ Coys., [then] two Coys. of the 12th, then 29th Div. These latter were held up by M.G. and ‘C’ and ‘D’ and 12th only just reached the 1st line. 29th didn’t even do that. ‘A’ and ‘B’ leading two waves got right on through the three lines to their goal, which a few reached. A splendid performance! But no one being on their left they were annihilated. Meanwhile the 109th, and 11th [Royal Irish Rifles] had got right on to 4th line, and after staying some time, and lacking support and bombs and ammunition, were driven slowly back by counter attack, their right being exposed, the Div. here not having advanced. 107th badly mauled coming up. As soon as assault started Germans barraged no-man’s-land, where most of the casualties occurred. ‘At.’, C.J., and Ensor killed leading their Coys. gloriously. Failure to knock out M.G.’s, daylight attack from our trenches, and failure to have reserves near enough, were, in my opinion, the causes of failure. Bosche infantry surrendered in herds whenever a handful of our men came near them, but their M.G.’s were deadly. Ricardo came to see me today; his heart is broke. Gas used Thiepval side. That roughly is the way things went. To the South things are going well, but Oh! to have the finest Division in France wiped out and nothing to show for it but the knowledge that all did their duty magnificently, and as Gen. N. says, surpassed even the high expectations formed. I cannot face the organization and beginning all over again, without dismay, with all my old trusted companions gone. C.O.’s were forbidden to go over the parapet. The Padre worked for 60 hours, tending and comforting the wounded. The trenches were a shambles, and he organized parties to collect and bury the dead. I wrote to Mrs. Cather. Shill. has been and is splendid, and a tower of strength. He came out at exactly the right time. Pratt’s out with a party tonight looking for wounded. We have had parties out each night, but it’s dangerous work. 2. 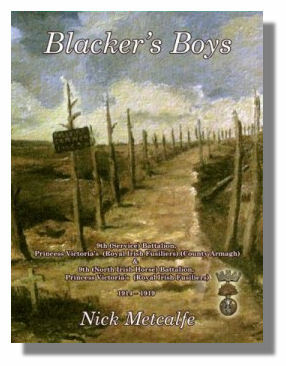 Although Lieutenant Colonel Blacker states that some men made it through the enemy first and second line trenches, the reports from the German diaries and records indicate that only one incursion was made into the first line trench; that was on part of the line attacked by 12th Royal Irish Rifles. See: Whitehead, R. (2013). The Other Side of the Wire. Volume 2. Solihull: Hellion. (ISBN: 9781907677120). This entry was posted in July 1916. Bookmark the permalink.